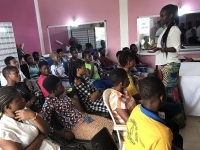 (ANS – Ashaiman) – “Don Bosco Child Protection Center Ashaiman”, Ghana, has started a new program, its theme: “Empower Women of Ghana”; it targets young women between the ages of 18 and 23. The program, launched last February, with assistance from Turin's “Missioni Don Bosco”, is designed to assist young women who face many adversities and challenges during their journey towards creating better lives for themselves and are, alas, susceptible to human trafficking and migration. They are from poverty-driven backgrounds, and have been deprived of basic education, with little or no support in learning to become respectable young women in society. By means of curbing this trend, in collaboration with responsible agencies, these young women were rescued from various vulnerable situations from all over Ghana for the program. One of the first things done during this period is to empower them from within by helping them re-ignite that reason to live as well as offering them group and individual therapy, behavioural management. It also addresses various topics such as personal hygiene, self-love, the importance of relationships, and etiquette in a professional setting. After the inward empowerment comes the outward empowerment. Thus the program provides skills-training in hairdressing, catering, beads-making, and fashion design. 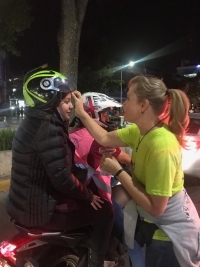 The mission of this project is to ensure these young women and many more who come in the future, leave the program with the skills-training needed to progress in the specific fields in which they desire to pursue self–employment. (ANS – New Delhi) – A Salesian who headed national media offices in New Delhi will now be in charge of the media office of the Federation of Asian Bishops’ Conference (FABC) in Manila, from 22nd March 2019. Media trainer Fr. 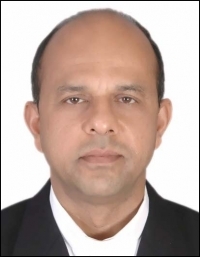 (Dr.) George Plathottam has been appointed Executive Secretary of the FABC Office of Social Communications (OSC) in Manila, the Philippines. The FABC-OSC is responsible for the Radio Veritas Asia (RVA), the only continental Catholic Radio service broadcasting in 22 languages of Asia for the last 50 years. Spain - Remembering Fr Antonio César: "If in his life he was a great apostle, in his death he was even more so"
(ANS - Seville) - The Salesian Province "Spain-Mary Help of Christians" has created a special e-mail address - recordandoacesar@salesianos.edu - in order to gather and convey news, testimonies and experiences related to Salesian missionary Fr Antonio César Fernández, killed last February 15 in Burkina Faso. "The establishment of this address is motivated by the fact that many people are sending a large number of letters, messages on WhatsApp or comments because of what has happened, and we want to collect all this news. Furthermore, we were also motivated by the request of the Apostolic Nuncio to prepare a dossier with written, graphic and audiovisual testimonials about our brother Antonio César," explains Fr Alejandro Guevara, Delegate for the Salesian Family of the SMX Province, who also accompanied the family of the Salesian during the funeral celebrated in Togo and Pozoblanco, the birthplace of Fr Fernández. The funeral in Spain, celebrated last February 24, was presided over by the bishop of Cordoba, Msgr. Demetrio Fernández González, who shared words of consolation for the citizenship and recalled a person who from a very early age had a clear vocation to serve those most in need, why he went to Togo to found the first Salesian presence in that country. "His death made us think. He did a great deal of good for the Salesian Family and for all those who received his testimony. If in his life he was a great apostle, in his death he was even more so. It was a final gift, after a commitment sustained throughout his life. For this he became a Salesian and that is why he asked to go to Africa where he was able to accompany young people at risk. He would not have been there if he had not chosen to live his daily life as a missionary," the prelate said during the event. Mons. Miguel Ángel Olaverri, Salesian bishop of the diocese of Pointe-Noire, in the Republic of the Congo, shared some of the experiences lived with Fr Antonio César during the period of the foundation of the Salesian presence in Togo. "It was a moment of communion, as is also reflected in this celebration in which four Salesian Provincials are present and over 1,300 Salesians are represented in Africa." He then referred to the clamor caused by the death of Fr Fernández in Lomé, in Togo, where the figure of Caesar is highlighted as that of a martyr who will reach the altars. "After Pope Francis' invitation to holiness, I was pleased to hear the expression 'a saint is buried today.' We must identify the saints who live with us today and who accompany us," he added. For his part, in a letter addressed to the Salesian Family, the Rector Major defined the Salesian killed as "a good man and a man of God", who spent his life doing good, especially in Africa. (ANS - Lahore) - Four years have passed since that 15 March 2015, the day when the young Akash Bashir, Salesian Past Pupil, sacrificed himself to prevent a suicide bomber from provoking a massacre in the church of St John in Youhannabad, the Christian neighourhood of Lahore, Pakistan. Akash Bashir was 18 years old, had studied at the Don Bosco Technical Institute in Lahore and had become a security volunteer. That tragic March 15, like every Sunday, he was on duty. He was specifically charged with overseeing security at the entrance to the church of St John. 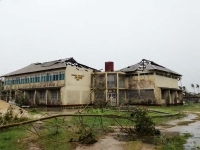 While on duty, he received news that the Church of Christ, an Anglican church located 500 meters away, had been attacked by several armed men. Akash tried to secure the area in front of the church of St John, when he saw a man running towards the building - a terrorist, intent on more carnage. Akash faced him, trying to block him. The man threatened Akash, declaring he had a bomb with him, but the young man did not let himself be intimidated. He hugged the terrorist to keep him from entering the church. The bomber blew himself up, causing about twenty deaths, including Akash himself. The victims would have been many more, had the Salesian Past Pupil not sacrificed his life. "The history of the Church is strongly marked by many women and by many men who with their faith, with their charity and with their lives have been like lighthouses that have illuminated and continue to illuminate many generations over time," writes the Rector Major, Fr Ángel Fernández Artime, in the Strenna 2019. For the Christians of Youhannabad, Akash, with his great faith, is exactly this: a lighthouse, an example to follow. On his tomb, as Fr Francis Gulzar, pastor of the church of St John, has said, many go to pray and ask for intercession. His courageous act still inspires Pakistan's Catholics today in their daily journey and motivates them not to be discouraged by the many challenges they still face. For this reason, Fr Francis Gulzar, who is also Vicar General of the Archdiocese of Lahore, in January 2017, sent a letter to the archbishop, Msgr. 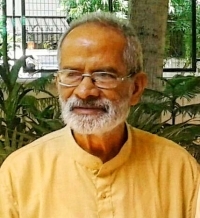 Francis Shaw, "to formally request to start the official procedure to declare Akash Bashir Martyr, to honor his sacrifice for his community in the parish of Yauhanabad." 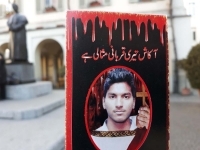 "The Christian community of Youhanabad is proud of its young hero, Akash Bashir, reads the letter, "and asks His Excellency to transmit our request to the Holy Father and to the relevant Congregation for the cause of martyrdom." (ANS - Rome) - "Father Ángel, we are waiting for you! ": thus the joyful cry of the Salesian Youth Movement of the Triveneto, which awaits Rector Major Fr Ángel Fernández Artime next Sunday, March 17, for the traditional "Festa Ragazzi" in Jesolo. The X Successor of Don Bosco will participate in the large festival, which annually gathers thousands of participants from all the centers of the area's Salesian Family. He will also visit other Salesian houses and realities of the Salesian Province of North-East Italy. Accompanied by his Secretary, Fr Horacio López, the Rector Major leaves for Venice-Mestre on the evening of today, Friday 15. On Saturday morning he will preside over the assembly with all his confreres from the Province, while in the afternoon he will travel to Schio, where he will visit the Salesian house and meet the young people who attend it. In the evening, returning to Mestre, he will offer the Salesian "Good night" to the animators of the Festa Ragazzi. On Sunday morning, the Rector Major will attend the Festa's central performance on the theme "Choose where to look", and then preside over the Eucharist for all those present. Later in the day he will move to Padua to meet the members of the Salesian Family and visit the local community of the Daughters of Mary Help of Christians. Finally, on the last day of the visit, Fr Á.F. Artime shall meet with the Provincial Council and then, in Mogliano Veneto, with the laity who have roles of responsibility in the houses of the Province and with young people in vocational research being hosted in the so-called "Comunità Proposta - Proposal Community." (ANS - Zaragoza) - Yesterday, March 13, the jury of the 32nd Don Bosco National Award was established, a competition that acknowledges innovative projects developed in the field of secondary education, vocational training and educational activities of Spanish educational centers in general. The 45 new projects presented this year are added to the others presented in the history of this prestigious award, thus reaching the impressive figure of 1030 innovation projects presented from the outset. Technological companies, polytechnic universities, professional associations and public administrations will form the four juries that shall evaluate the projects, each from a different perspective. Yesterday, at the sports center of the Salesians of Zaragoza, the exhibition was inaugurated and the evaluation of the works presented began. Scheduled for today, Thursday 14, in the Auditorium of the Salesian institute, are the awarding of the prize and a presentation by Javier Sirvent, specialist in Digital Transformation. A total of 45 projects were presented at the 32nd edition, of which 35 qualified, coming from schools and vocational training centers throughout Spain. A total of 61 students and 31 teachers as tutors participate, for a total of 22 educational centers. As regards areas of research, the Technological Innovation section was established, with a total of 26 projects: 16 in the Information and Communication Technology segment (Telecommunications, Audiovisual Technologies ...) and 10 in Industrial Technologies (Electronics, Robotics, Mechatronics ...). The Mario Rubio Award, a tribute to the figure of the Salesian creator and promoter of the "Don Bosco Prize", which is awarded each year to a person with a renowned professional career, will be presented to Amado Franco, President of the "IberCaja" Foundation. The Don Bosco Award is an acknowledgment of entrepreneurship, teamwork and innovation. Since its creation in 1984, the competition has managed to make important contributions in the field of education and in the relations between the academic and business worlds, given that the Don Bosco Awards are also a showcase for entrepreneurial initiatives applicable to future company projects. "The Don Bosco National Award wants to be more than a prize," said the director of the initiative, Fr Juan Bosco Sancho. "It wants to be a stimulus and a transformation for those who participate. For students and tutors, participating in this competition is an incentive for innovative skills, to become aware of the importance of research and the possibilities they have of contributing to the improvement of society." Colombia - Salesian Family present at "Expocatólica 2019"
(ANS - Bogotà) - From 7 to 10 March, at the "Ágora" Congress Center in Bogotá, the Salesian Family of Colombia took part in "Expocatólica 2019", an event thas been promoted for already several years now by the Episcopal Conference of Colombia, to make known the evangelizing force of the Church. The motto of this edition, on the wake of Pope Francis' visit to the country in 2017, was: "Let us continue to walk together." The event represented a favorable opportunity for people, organizations and institutions to share creative and innovative experiences of their activities, as well as a space of prayer and culture in which the initiatives of integral human promotion developed in the various regions of the country were made visible. It is the first time that the whole Salesian Family participates in this event with a single concept and in a single location. In past editions some centers or groups had participated separately but, in the desire to live fraternity and unity, it was decided to organize an extended team representing all the groups of the Salesian Family in Expocatólica 2019, with the same name and in the same spirit. For this reason, the group of exhibitors was composed of various members of the Salesian Family groups. For the representation of the site, the house of Don Bosco ai Becchi was chosen, because it was from the experiences lived in that house that the desire of little Giovannino Bosco to become a priest and help others was born. What he lived in his early years marked his life in a decisive way and helped to consolidate the educational and evangelizing model that he would propose to his young people in the years to come. Each part of this replica of Don Bosco's house at the Becchi was used to convey a message. The four dimensions of Salesian youth ministry (home, church, school, playground) were presented in different parts of the house, and there was also a silhouette of Don Bosco with which everyone wanted to take a picture. "These were four days of encounters wherein we showed the Salesian charism through the groups of the Salesian Family," said the participants in "Expocatólica 2019" in conclusion. (ANS - Catania) - "Vedendo / Facendo" is a new web initiative designed and implemented by the Salesian Social Communication Office of Sicily. It is a series of videos about very broad themes (catechetical, ethical, social, philosophical and theological) in a journey that starts from seeing so as to arrive at doing, via understanding. The issues dealt with will see the Salesians as protagonists, as well as young people, who have made themselves available for listening. The first video, launched on 4 March 2019, is available on the Salesian channel of Sicily. It is a video presentation of what they wish to achieve through the Seeing/Doing feature. The video, which has already achieved almost a thousand views and many shares, was first introduced by a social campaign, through storytelling on the main themes of the feature – to see and to do. Currently, other videos are already being written and planned, and even these will be introduced by graphics always related to the theme, and will be shared, as always, on the various channels of the Province in its social networks. The "Vedendo / Facendo" project involves collaboration between a number of Salesians and young people occupying various roles in the Sicilian Province, and it is a project that will grow with time, committed as they are to improving day by day. Fr Enrico Frusteri, Delegate for Social Communications of the Sicilian Province (ISI), underlines how the project is "a further web space where it is possible to deepen multiple themes, which are particularly important to young people; but the recipients of these videos are not only young people, but also those who dedicate themselves to their education." Fr Giuseppe Cassaro, Dean of the "San Tommaso" Theological Institute of Messina and protagonist of the first video, for years engaged in the academic life, says they shall always tries to see issues that interest young people. In the video he says that this web space "does not want to be a strictly religious corner, but an opportunity to listen to the questions that arise from everyday life and affect our days." "Vedendo/Facendo" is a journey of young people and for young people, but also a stimulus for those interested in the world of youth. As for the frequency of the offered contributions, at least one video is expected every 15 days. "There is no time to lose - #staytuned - watch the first video, subscribe to the channel and participate!," concluded the promoters of the initiative.